Discussions are an essential part of public sector education and human resources development. It supports public administration students’ thought processes and improves how well they understand and retain information. It also helps them develop their oral communication skills, which are, without a doubt, among the most desirable competencies for administrators and service delivery professionals in all types of government and nonprofit organizations. Modern information and communication technologies provide new channels for verbal interaction between different levels of government and with the public at large. Increased connectivity has made conveying the spoken word an important responsibility, toward accurately disseminating public information and for interacting with diverse related communities. In both face-to-face and online learning environments, there are several challenges to creating and sustaining meaningful student discussions. For example, the task of successfully promoting expressive student participation, and learner to learner collaboration; and keeping discussions coherent and in line with the course learning objectives. Visual imagery is a long-lived teaching and learning tool, and although used primarily during early stages of learning, the potential to incorporate it in public administration higher education is boundless, given the availability of appropriate and well-stocked sources for visual imagery on public administration topics. Visual imagery is already well-used for communicating with the public, when diagrams and symbols are selected in preference to written messages, because they increase the speed and clarity of communicating. Photographs, in particular, are an effective tool for inspiring discussions. They are useful in facilitating thought processes in lower order thinking, such as describing, capturing and remembering different perspectives, explaining and understanding varying interpretations, and examining and observing details and how they can be illustrated. Similarly, photographs contribute to higher order thought processes, such as investigating and comparing, assessing and evaluating, and creating ideas. Bloom’s Taxonomy is a good guide for sequencing course learning objectives and for incorporating photographs to enliven students’ participation and collaboration in discussions. 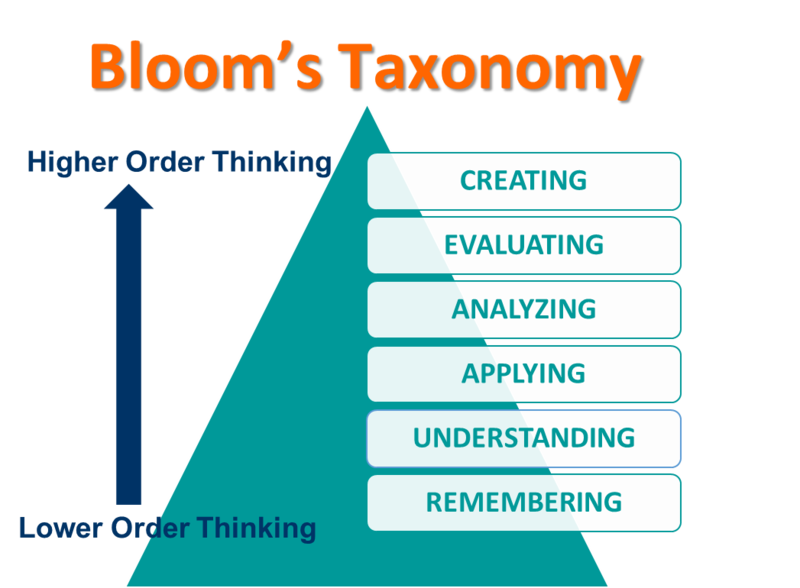 There are action words and questions for using the Taxonomy in discussions. The best sources for photos on public administration topics are the websites of U.S. government departments, such as the departments of agriculture, customs and border protection, defense, energy and general services administration. The Census Bureau, Center for Disease Control and Prevention, Department of the Interior and the Department of State also have well-stocked photo libraries/image galleries. Online access to these is free, the photographs are in the public domain, and collections are being updated on a continuous basis. An important aspect of discussion building is to allow students adequate time to prepare. The digital format renders photographs easy to disseminate among students, who can also be assigned to explore the galleries themselves, in search of topical images for class presentation and discussion. National organizations and public libraries have large digital photography collections, for example, National Aeronautic and Space Administration, National Archives and the National Oceanic and Atmospheric Administration. Largest of all is the Library of Congress, which has a formidable collection that is well organized and searchable. Some of their photographs, however, are copyright protected. But, clear information is provided about those that are. Other public libraries have high-resolution versions of out-of-copyright photographs in their digital collections. State level government departments, such as the Georgia State Department of Corrections and the New York City Department of Records have comprehensive photo galleries. Some public organizations present photographic essays and timelines on their websites. The historical information gives students opportunities to observe, discuss and take note of how public organizations evolve over time, in response to various political and social factors and priorities. Worthy of note is the centennial history of the Federal Bureau of Investigation, the fire history timeline of the National Park Service, and the history of the U.S. Secret Service. These are inspirational, but also instructive in terms of how students themselves can collaborate to develop and present photo essays for discussion building as a graded course assignment. Dotcoms are another possible source for photographs on public administration topics, as a few of them have royalty-free digital media libraries. The images are often of good quality and taken by professional photographers. Several million images are available in JPEG (Joint Photographic Experts Group) format, and in both high and low resolution. Downloading and uploading high-resolution images can be a slow process and they consume a lot of digital storage space. They should be saved in a lower resolution to facilitate posting in learning management systems or for dissemination to students as email attachments. Indeed, a picture is worth a thousand words and can inspire student discussions in many ways. Instructors can incorporate them in guiding the discussion, and students can initiate discussions with their own choice of photographic imagery, both individually and by collaborating together to create and construct messages and stories around public administration themes. Sources outlined here have photographic collections that offer students broad exposure to public sector organizations: their leaders, programs and beneficiaries, as well as their ongoing relevance and evolution over time.